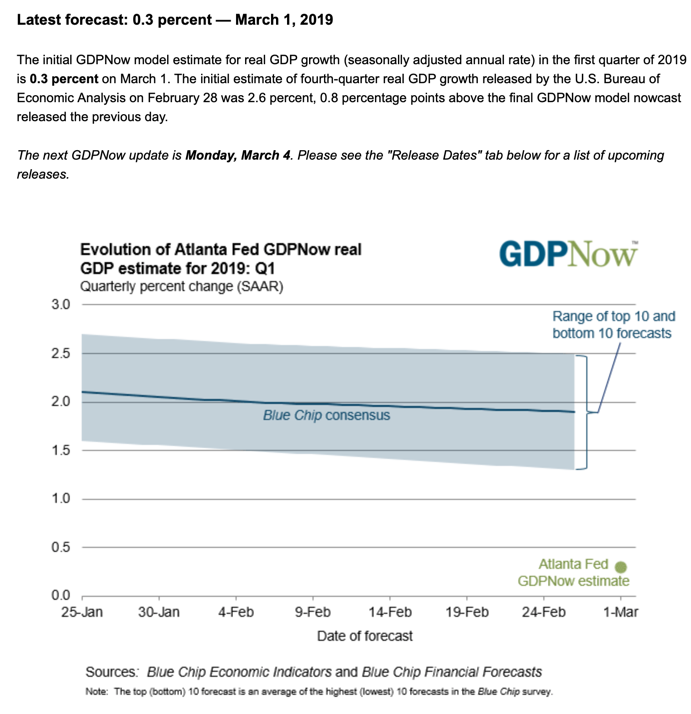 You probably saw this but the Atlanta Fed came out with its first Q1 GDPNow estimate. And it's starting at a 0.3% level. Here's the chart.